Despite its lack of availability in Canada, hearing Google’s new Duplex feature in action is quite impressive. A video from Venture Beat shows just how impressive the feature is. Following Duplex’s roll out to some Pixel users in select U.S. cities, Venture Beat posted a YouTube video depicting a Duplex call. In the call, Duplex sounds quite human — although there are some small discrepancies in the conversation that show it’s not perfect. Some pauses are too long, especially at the beginning and end of the conversation. Further, Duplex doesn’t seem to want to hang up at the end. Also of note is the adjusted introduction. A Duplex video from earlier this year showed the AI introducing itself as the Google Assistant. However, in the recorded video, it simply says that it’s calling from Google. In both cases, Duplex says the call may be recorded. While it’s not clear why the wording changed, we do know why the wording is there. Google received criticism for the original Duplex demo because it mimicked a human so well it was hard to tell it wasn’t real. The company later promised that Duplex would introduce itself. 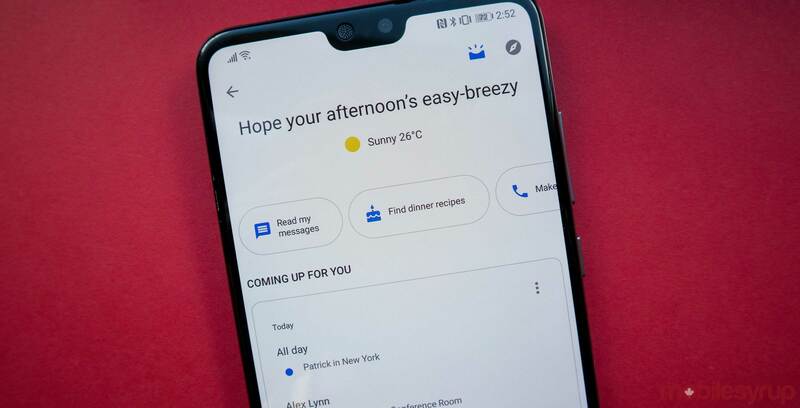 Ultimately, Google could be testing different ways of phrasing the introduction and the wording might change in the future. Overall, as much as I’d like to see Duplex in Canada, I’m happy to sit back and let the U.S. sort out all the kinks. While Google hasn’t given any official word, we likely won’t see Canadian Duplex until it supports French. Currently, Duplex only supports English. At least when Duplex does come to Canada, it will likely be a refined experience with most of the bugs worked out.